Insecure SSL mode: Switch this option to “Yes” if you wish to enable the insecure SSL mode. This mode allows you to override certificate errors generated by a feed. Show feed items in full: Switch this option to “Yes” if you want to see the entire feed content and not only the heading of a blog post. If you click an entry in the RSS feed, it will open in a new window. 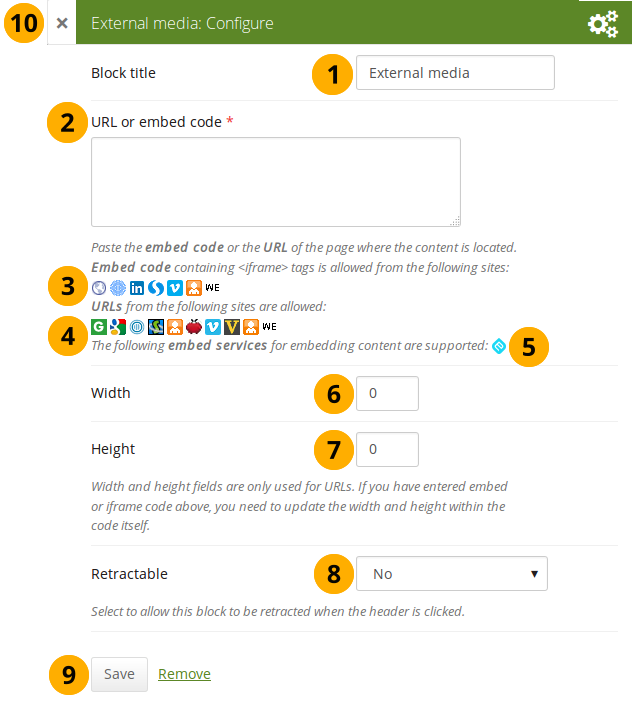 With this block you can embed content from a wide variety of third-party sites. 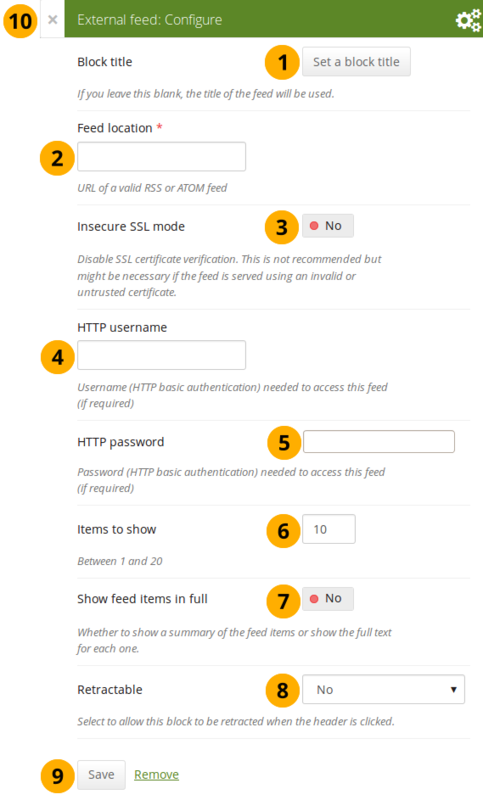 The sites that are allowed are listed below the text area in the configuration screen. You see only their favicons, but when you hover over an icon with your mouse, you see the site’s name as well. 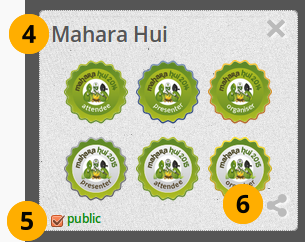 Mahara comes with a number of sites that are allowed per default. These are listed on the page. 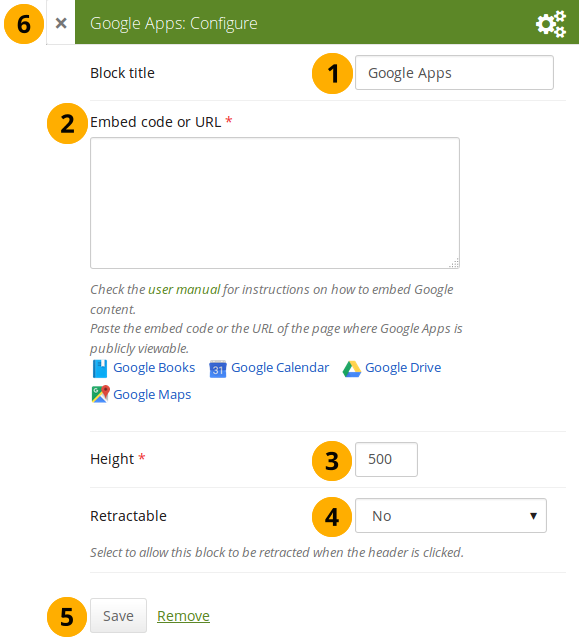 Your site administrator can add additional iframe sources. You can use the same iframe embed code around Mahara in notes, text and journal entries as well. Select the folder that you want to share. Click the Link icon. A shareable link is created. Open Badges are an answer for showing recognition of skills and competencies online with the help of an open framework. If you do not see all your public badge collections, click the links to verify that you have made all badges publicly available that you want to see. 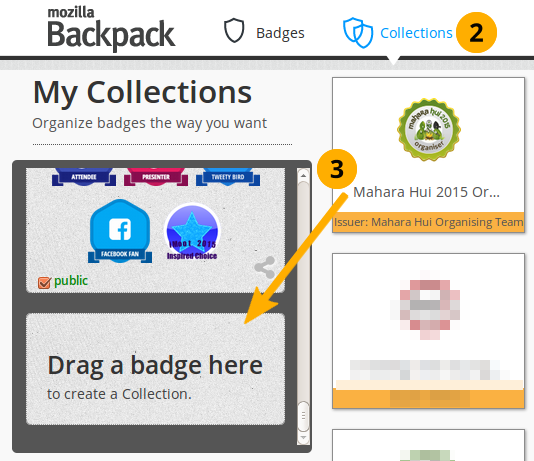 Mozilla Backpack: All public badge collections from your backpack are displayed. Use the Select all or Select none buttons to select all badge collections or to revert your selection. You can also select individual badge collections if you prefer by ticking their checkboxes. 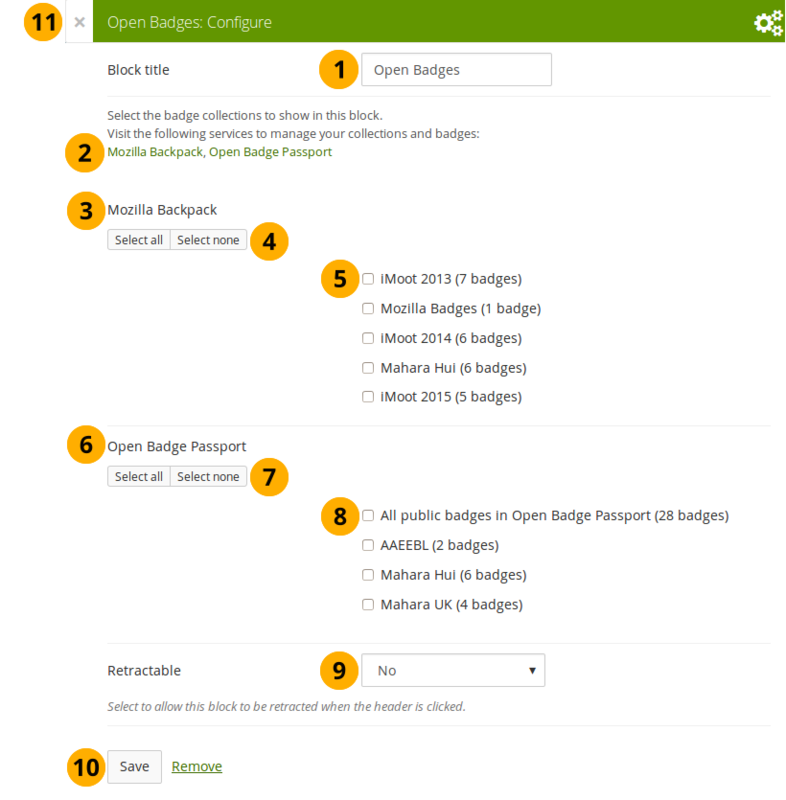 Open Badge Passport: All public badge collections from your Open Badge Passport are displayed. If you have other “backpacks” that contain badges, the site administrator would need to allow them in the config.php. Since your badges need to be fetched from an external service, it may take a little bit until they are displayed on the page. Go to your Mozilla Backpack. You must have already pushed at least one badge to it to complete the following steps. Click the Collection navigation item to enter your badge collection area. Drag one of your badges onto a (new) collection space. Give your new collection a title by clicking onto “New collection” and typing your title. Tick the checkbox public so others can see your badges. Click the Share icon. You will be taken to a page where you can see all the badges in the collection that you created.